The Centre for jazz and Popular Music will present Nono Nkoane on July 19, 2017, at 18h00. 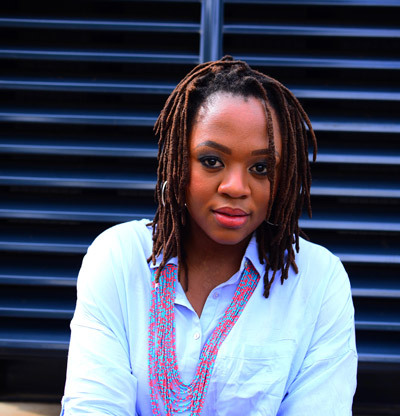 For this show, singer- songwriter Nono Nkoane contemplates the relationship between jazz and African music. The presentation consists of re-imagined compositions from her debut album True Call" as well as some new, never heard before pieces. Her performance is packed with enthralling moments of intense improvisation, reminiscent of traditional African and jazz music. The synergy between herself and the highly-skilled musicians on the bandstand invites you to go on this wondrous journey with them. This Cape Town born songstress studied jazz at Tshwane University of Technology (TUT). She has found herself on many great stages with many top performers; from the Robben Island Festival, Standard Bank Joy Of Jazz, Stellenbosch Amphitheatre, Baxter theatre, State theatre (Tshwane) to Parliament. Nkoane has also shared the stage with such music legends as Jimmy Dludlu, Judith Sephuma, Bra Hugh Masekela, Dizu Plaatjies, Ernie Smith, Lungiswa Plaatjies, the late Mirriam Makeba and Jabu Khanyile.